Across the Straits of San Juan de Fuca from Vancouver and the Canadian mainland, lies Victoria. It’s an island with a rich history and fishing industry that is now quite the tourist attraction. 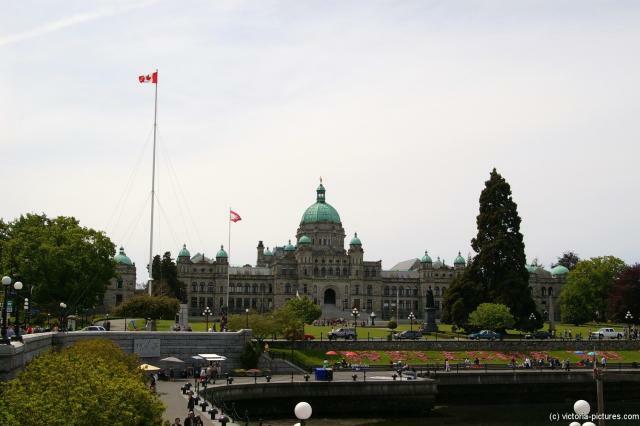 The city of Victoria is the capitol of British Columbia, and is perched on the island 62 miles offshore. Known as the “City of Gardens”, because there are so many public and private gardens, you can actually choose from a number of tour companies to see them all. Victoria was the home of Emily Carr (1875-1945), one of Canada’s favorite authors and artists, who used the city and its gardens in many of her paintings as well as the setting for many of her books. A leisurely walk around the Inner Harbour will take you past a unique collection of restaurants, hotels and attractions, including ferry tours of the harbour. A favorite is afternoon “High Tea” at the Grand Empress Hotel. Victoria is also popular with retirees, who come to enjoy the temperate and usually snow-free climate of the area as well as the usually relaxed pace of the city. Victoria is also famous for its narrow streets that remind visitors of old England. Victoria has a thriving technology sector that has risen to be its largest revenue-generating private industry. The city also has a large non-local student population, who come to attend the University of Victoria, Camosun College, Royal Roads University, the Sooke Schools International Program and the Canadian College of Performing Arts. Victoria (IATA: YYJ, ICAO: CYYJ) is just over 2 hours away from the Palm Springs area in Desert Jet’s private Cessna Citations. There is no direct airline service to Victoria. Don’t be surprised to see a number of seaplanes in the harbor next to the airport while landing. Fly between Victoria and Palm Springs in Desert Jet’s private jet aircraft fleet. Fly nonstop to the desert oasis by calling Desert Jet at (760) 399-1000 or by emailing charter@desertjet.com.